As a new graduate 28 years ago, Mary Worthington was fortunate to be offered a pharmacy residency at a children’s hospital. It was there that she discovered her professional passion—pediatrics. For Worthington, providing care for patients with unique needs in respect to medication use and safety was both challenging and rewarding. 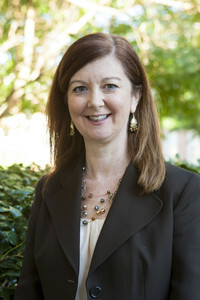 As her career progressed, she was blessed to become a faculty member at McWhorter School of Pharmacy where she shares her passion for pediatric pharmacy with students in a community that values both transforming the lives of students and the patients they serve, including the youngest ones. Worthington MA. Cerebral palsy. In: Benavides S, Nahata MC, Phan H, eds. Pediatric Pharmacotherapy Self-Assessment. Bethesda, MD: American Society of Health-System Pharmacists. 2015. Worthington M. Cerebral palsy. In: Pediatric Pharmacotherapy. Benavides S, Nahata M, eds. American College of Clinical Pharmacy, 2013. Tofil NM, Benner KW, Worthington MA, Zinkan L, White ML. Use of simulation to enhance learning in a pediatric elective. Am J Pharm Educ. 2010; 74 (2) Article 21. Bryant ML, Worthington MA, Parsons K. Treatment of osteoporosis/osteopenia in pediatric leukemia/lymphoma. Ann Pharmacother. 2009; 43(4):714-720. Let’s Go Nuts: A Food Allergy Update for Pharmacists. McWhorter School of Pharmacy Continuing Education Program. Birmingham, AL. November 2015. Complex pediatric asthma case. American Society of Health-Sytem Pharmacists. Pharmacotherapy Specialty Review Course. Orlando, FL. December 2013. ADHD: A focus on drug therapy. Nurse Practitioner Alliance of Alabama Annual Conference, Birmingham, AL September 2013.